The Ice Cream Magic Maker really is just about as easy as it gets. Follow these three steps and in minutes, you’ll have ice cream! The great thing about Ice Cream Magic, is that moms can control the ingredi- ents, from heavy cream to low fat cream, flavors – but the kids get to enjoy a perfect bowl size serving of a treat that they made themselves! The servings sizes are perfect for a child. If you have more than one kid, I recommend getting an Ice Cream Magic for each kid so they can make it at the same time, and eat it together. They are a super affordable gift at only $9.99 each so definitely pick up one for each kid. 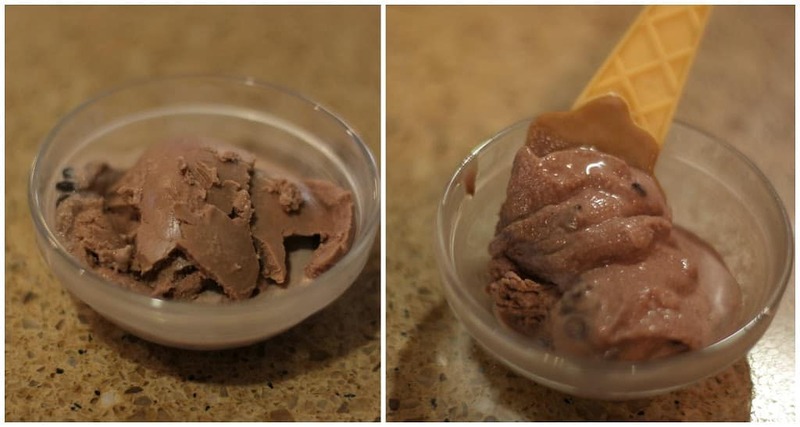 You can be as creative as you want when you make your Ice Cream Magic Ice Cream. You can add sprinkles, fruits, marshmallow, chocolate chips or any of your favorite toppings. We made chocolate, chocolate chip ice cream. It was delicious and so easy to make! We found that our ideal “shake” time is closer to 5 minutes for a more solid ice cream. Here is a cute little video of my son making his ice cream! He had so much fun! Ice Cream Magic is $9.99 each and at fine retailers everywhere. For ages 4 and up. For more information, visit them online at https://www.icecreammagic.com/.